What should you bring to the Super Bowl party? Let’s see—greasy chicken wings or fried mozzarella sticks? Hard choice I know, but Super Bowl Sunday doesn’t have to be the junk food holiday of the year. Four chicken wings deliver 376 calories and 24 grams of fat, 8 grams of which are saturated. A regular order of mozzarella sticks packs on 425 calories with 22 grams of fat, 10 grams of it saturated. Save those calories for a cold beer and bring a delicious, spicy salsa. I love to make salsa when I’m in a pinch. It’s so quick and easy and there are infinite possibilities that can fit right into a healthy diet. 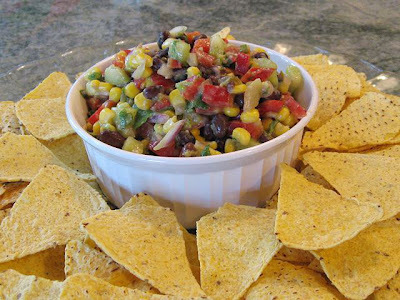 As a dip, a salsa can be served with baked chips or vegetable crudités. As a main meal, a bean salsa (like our featured black bean salsa), can be wrapped in a tortilla for a low fat, high fiber, vegan taco. As a chicken or shrimp fajita topping, we can substitute the beans with fruit, like mango or peaches. One of the important ingredients in salsa is cilantro. Did you know that this popular herb has been shown to bind to heavy metals in our blood and carry them out of the body? This “chelating” quality makes cilantro very important in reducing heavy metal toxicity. Many people have heavy metals like lead and mercury in their blood which can lead to significant health problems. Two years ago, I had all the amalgam fillings in my teeth removed because I wanted to reduce my exposure to mercury. So I feel really good about eating cilantro knowing that it’s helping sweep away those heavy metals that could compromise my health. Per 1/2 cup – 91 calories, 3 g of fat, NO saturated fat, 3 g protein, 14 g carbohydrates, 4 g fiber. 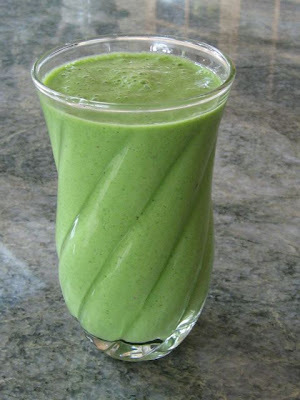 Try a Raw Kale Salad and a Raw Green Kale Smoothie! I must admit, I wasn’t introduced to kale until a few years ago. Growing up in an Italian home, I ate tons of vegetables at every meal – but unfortunately, not kale. Perhaps it was my mother’s preference for chard which she would sauté with some garlic, olive oil and black olives or throw in soups. I think a lot of people may be strangers to kale. After all, the Dinosaur kale in the supermarket occasionally looks tough enough to resole the bottoms of your shoes. But don’t be deceived. This type of kale and other types, like green and red Russian kale, are wonderful to prepare in many ways. I’ll share 2 of my favorite healthy recipes with you. Of course, the freshest and the most tender kale comes out of your garden. Try growing it. It’s easy and grows well in the spring and fall in most parts of the country. In milder climates it even grows all winter. If you don’t have room, grow it in a pot. If my daughter can grow vegetables on her fire escape in Manhattan, anyone can have a little garden! My son and his wife replaced their entire front yard with raised beds full of vegetables. After all, if you can’t eat it, why grow it? Besides the impressive nutrient content, it contains important phytochemicals. Kale is categorized as both a leafy green vegetable and a cruciferous vegetable and BOTH are known to protect the body from cancer. 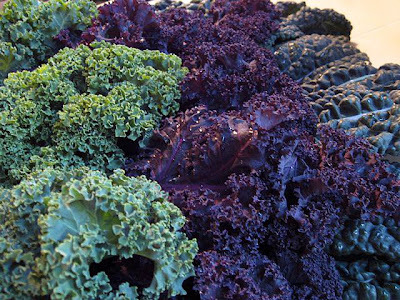 Here are a few of my favorite ways to prepare kale. The first is a raw, vegan salad and the other may be a surprise to you but it‘s great in your morning smoothie! This is a simple, easy to make, nutritious salad. It makes a big hit at family dinners and potlucks. Unlike lettuce, this salad does not wilt and get soggy so you can make it the day before. I actually think it tastes better the next day! Wash the kale well. Remove and discard the center stalk and thinly slice to get 4 packed cups of kale. 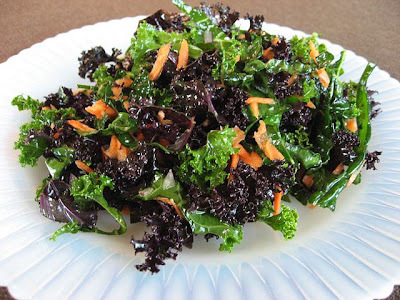 Place the kale in a salad bowl. Mix the lemon juice, olive oil and salt and add to the kale, gently working it in with your hands to tenderize it. Add the grated carrots, chopped red onion and dash of pepper and mix well. Add additional salt if needed. Per serving: 71.5 calories, 3.5 g of fat, .5 g of saturated fat, .25 g protein, 9.25 g carbohydrates, 1.5 g fiber. Most people wouldn’t think of throwing greens in their breakfast drink but it’s a great way to get more veggies in your diet. I will be sharing many smoothie and soup recipes that require thorough blending. For this, I use a Vita-Mix, www.vitamix.com, and urge you to get a high speed blender of this quality. I use mine almost every day and have given one to each of my children who now have their own homes. They are pricey but well worth it. You can sometimes find them used or reconditioned. ½ cup of crushed ice Put all ingredients in a high speed blender and blend until smooth. Serve in two tall glasses and enjoy! Per serving: 181.5 calories, 4 g fat, 1 g unsaturated fat, 7.5 g protein, 29 g carbohydrates, 4.5 g fiber. 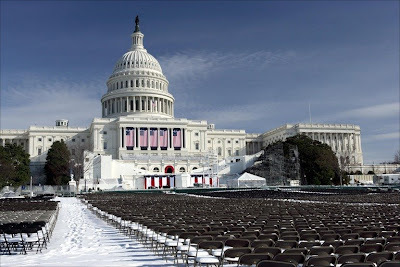 It’s inauguration day, the day many have been waiting for. We have a new president and most Americans have very high hopes. One of their hopes includes fixing our very broken health care system and improving the declining health of the American people. I, like many, have been active in the Obama home meetings to discuss this health care issue. Recently I hosted a neighborhood gathering to collect input for Senator Daschle’s health care initiative. There was overwhelming consensus on two things. First, all Americans should have the right to affordable, high quality health care. Secondly, all Americans should have access to things that would prevent them from getting sick in the first place like affordable fruits and vegetables, places to exercise, education on nutrition, smoking cessation classes, etc. But giving access to a healthy life doesn’t ensure that people will take advantage of it. We have a mentality in this country that health comes from the pharmacy. We can eat fast food, be inactive, smoke and drink excessively and all we have to do when we get sick is see a doctor and take a pill. Some of the most serious diseases of our generation, like cardiovascular disease and diabetes, can be avoided by exercise and diet. Even many cancers can be avoided. Yet, it seems to take too much sacrifice and time to shop, cook a healthy meal, go for a walk and encourage our family and friends to do the same. If there was one message from Obama this morning, it was that the sad state of our country is our “collective” fault and we all have to be a part of the solution. With respect to health care, this begins by all of us taking responsibility for our health. We need to treat our bodies with care, feed them well, move them, give them sunshine and pure water and give them sufficient rest. If we all make a commitment today to do that, we will be helping President Obama improve the health of this nation. Continuing a lifestyle that promotes illness would choke any plans for universal health care. I hope I can help you with this commitment with the nutritional information and recipes that I will continue to share. Let’s all celebrate this new day not only with hope for a better country but also with that of improving our own personal health and well being. Vegan Creamy Cauliflower Soup - Slimming Down With Soups! I love everything about soup. I love cooking them, I love eating them, I love creating them. They are a great way to fill up without many calories (at least the way I make them). They are also a great way to work in all those wonderful vegetables that we are supposed to eat every day. If you have a garden, they are a great way to use up those bumper crops. If you have a cup or even a bowl of soup with lunch or dinner, it will prevent you from over-eating the main course while providing added nutrition. Here’s a tasty and healthy recipe that I love serving to my guests. 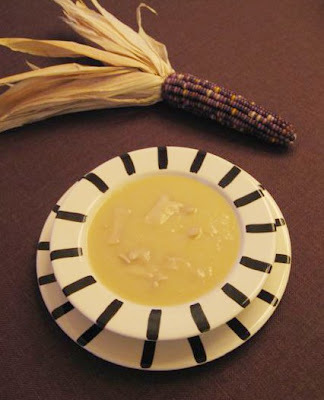 Most creamy cauliflower soups have butter, cream and cheese – not very healthful or low calorie. This version gets its creamy texture from a few added potatoes. With only 123 calories per serving, it provides almost 6 grams of fiber. In a medium stockpot, heat olive oil and cook the onions and celery for several minutes. Stir in the potato, cauliflower, salt, pepper and stock and bring to a boil. Reduce heat and simmer for about 20 minutes or until the vegetables are tender. Processing in batches, put the mixture in a blender until smooth. Return to pot, add mushrooms, and cook until they soften. Stir in the lemon juice. Adjust salt and pepper if needed and serve. Per serving: 123 calories, 1.8g fat, .2g saturated fat, 5 g protein, 25.2 g carbohydrates and 5.8 g fiber. Loosing weight is a multi-billion dollar industry but it’s not as complicated as you may think. To understand what you need to do to accomplish this requires some basic math. It’s simple. There. That’s it! Let me give you an example of how to do it. Look at your food journal (item # 10 in my “Top 10 things you can do to improve your diet in 2009”). Say you drink two cans of cola a day. Each 12 oz can contains 155 calories so two mounts up to 310 calories. If you stopped drinking soda and, instead, had a glass of water or a glass of ice tea sweetened with stevia, you would loose a pound in a little over 11 days. In a year, you would loose 32 pounds just from making this one change in your diet. The other part of the equation is burning more energy. Every time you walk a mile, it burns 100 calories. That’s about a 15 to 20 minute walk. So if you added walking 2 miles a day in addition to your cutting out the 2 cans of cola, you are now saving more than 500 calories a day. This would allow you to loose 1 pound a week! The top 10 things you can do to improve your diet in 2009! I always like to start off my year by thinking of ways to improve my diet. Are you, like so many, trying to loose weight? Well, this year I’d like you to just concentrate on eating well and getting healthy. If you do that, the weight will come off, you’ll feel better and you won’t have the anxiety of “being on a diet”. Here are 10 things to think about. I will be expanding many of these ideas in the future along with sample recipes. 1. Eat a variety of colorful fruits and vegetables every day. Lots of them! The more colorful the better. As you look at your plate, it should look like a beautiful painting. 2. Eat at least 25% of these fruits and vegetables RAW. I’ll be talking a great deal more about raw food diets but for now, I’d just like you to start eating more of your diet in its raw state. 3. Buy organic fruits and vegetables when possible. They are more nutritious and of course, less toxic. You get enough toxins in your body from the environment, you don’t need to eat them. Now I will admit, sometimes organic can cost way too much. I drew the line last week when they wanted $3 for a single cucumber. But if possible, buy local, unsprayed produce. 4. Don’t eat fried foods. First of all, if you are trying to loose weight, this is a great source of calories. Secondly, NOTHING GOOD happens when oil is heated. It’s just a good practice to avoid foods that are fried. 5. Don’t eat white, processed food. These are also known as refined carbohydrates. White bread or pasta, white rice and sugar are a few examples of refined carbohydrates. Select whole grain bread, pasta and brown rice. Honey, unprocessed Sucanat is better than sugar but better yet, use the herb, stevia. It has finally been approved by the FDA, it has zero calories and it is a natural herb. 6. Eat essential fatty acids. Not all fat is bad. These fats are essential for good health and you can get these from nuts, seeds, fish and oils, to name a few sources. For a low calorie, delicious, healthy dose of these essential fatty acids, be on the lookout for my famous “chia seed pudding”! 7. Eat enough protein but not too much (please read “The China Study” by T. Colin Campbell and Thomas M. Campbell II). Avoid red meat and processed meats. Good sources of protein include beans, tofu, fish, organic free range eggs and poultry and many vegetables. Many Americans eat far too much protein. A diet with 10% protein is sufficient. 8. Get sufficient vitamin D. More and more data has shown the benefits of this vitamin. Besides helping the body build strong bones, it may also help control weigh gain, ward off diabetes and even have a role in cancer prevention. Although the RDA is 400 IU, many now suggest 1,000 IU per day. Good sources of this vitamin include cod liver oil, herring, and salmon. Unfortunately, there are no adequate plant sources for this vitamin, but fortified soy and rice milks, as well as fortified breakfast cereals do contain this vitamin. Getting 15 minutes of sunshine per day is also a good way to get sufficient vitamin D.
9. NEVER eat foods that contain High Fructose Corn Syrup or Trans fats. These are found in many foods so please read labels and avoid these unhealthy substances. 10. Keep a food journal. When I was pregnant with my son, 38 years ago, I discovered that if I wrote down what I ate, I didn’t over eat. Besides helping you keep your weight in check, it also helps discover food allergies, especially if you record how the foods make your feel. Sort through the peas, removing rocks and dirt. Rinse well. 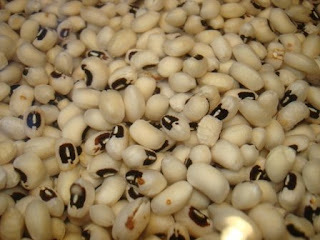 Boil the black-eyed peas in 2 quarts of water for 20 to 25 minutes. Drain and cool. Mix peas with the avocado, corn, red pepper, onion and cilantro and dress in the lime/olive oil dressing. Salt and pepper to taste. Black-eyed peas are an excellent source of protein and fiber. Red peppers are full of beta-carotene and vitamin C.
I spent three decades working in high tech, the last decade as a Silicon Valley CEO so I am acutely aware of how an invention can change people’s lives forever. For example, the internet paved the way for ecommerce which allows many of us to do much of our shopping without ever leaving our homes. Wireless technology allows us to stay in constant communication with our friends or business associates and is driving the once omnipresent “phone booth” to become an unfamiliar prop in old movies. Inventions in biotech have produced a myriad of new drugs that attempt to “control” many of the illnesses we face today. We all await the next “big thing.” But could this next “big thing” be something so simple that it has been in front of our eyes since the beginning of time? One of the biggest challenge in this country today is our declining health. And as new, innovative technologies and drugs emerge, the 2007 Census Bureau shows the United States ranking 42nd in longevity when compared to other countries in the world. With the billions of dollars spent in the U.S. on healthcare, Andorra, a small country of 72 thousand people in the Pyrenees mountains, enjoys the longest lifespan of 83.4 years while a child born in the U.S. in 2004 will live an average of only 77.9 years. This should be no surprise as the obesity rate or those with a Body Mass Index greater than 30, has now hit 34%. The number of overweight people, or those with a Body Mass Index between 25 and 30, is 32.7%. With two thirds of Americans overweight, we clearly have an issue with the food Americans are eating. As we struggle to improve how we treat the illnesses that we have come to expect in our lives, such as cancer, diabetes, cardiovascular disease and arthritis, to name a few, we hear too little about how to prevent these degenerative disorders in the first place. It turns out to be simple. Prevention and even the cure to all of these diseases is possible. It’s the next “big thing”. It’s food. Good, fresh, unprocessed, plant-based, organic food. Food that will heal the body, warm the soul and extend your life. There’s a quiet revolution happening throughout the world right now by people who have discovered this secret to health and well being. They are meeting across the country in pot-lucks, food cooperatives, vegetable garden clubs and health food restaurants or they are found in their homes happily juicing, sprouting and creating delicious meals made from fresh, unprocessed foods. Health and nutrition has always been my life passion and nutritional gourmet cooking has been my hobby for many years. I would take the most wonderful recipes and figure out a way to make them healthy. For years I have been spending nights and weekends pursuing my doctorate in holistic nutrition in order to learn even more about healthy eating. In 2007, I received my PhD and to follow my passion for nutrition and health, I left the high tech industry to continue my nutrition research. In April, 2008, my husband and I moved from Silicon Valley and bought a house and a few acres of land in Sebastopol, California where we can grow our own organic food and create more healthy recipes to share with you. FoodsForLongLife.com is a blog dedicated to sharing information on things everyone can do to improve their health and the health of their family. I will show you how to create affordable, healthy, home cooked meals while sharing helpful, easy-to-understand, nutritional information. My goal is to provide information to the world on improving their health and achieving longevity by the simple task of eating.